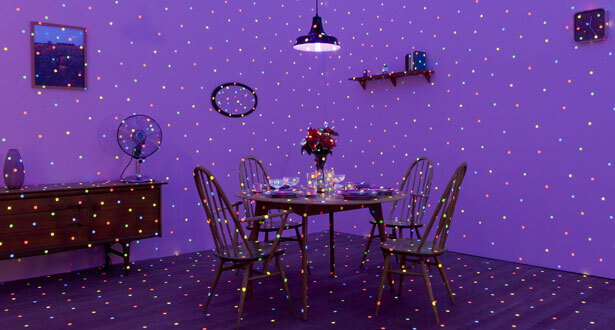 Yayoi Kusama, I’m Here, But Nothing, 2000/2001. Registration is now open for the conference House, Work, Artwork: Feminism and Art History’s New Domesticities, which will take place on 3 and 4 July 2015 at the Barber Institute of Fine Arts, University of Birmingham. The conference has been co-organised by our very own Fran Berry and Jo Applin (University of York). The keynote speakers are Mignon Nixon (Courtauld Institute of Art, London) and Julia Bryan-Wilson (University of California, Berkeley). Other speakers include: Sarah Blaylock (UC Santa Cruz), Amy Charlesworth (Open University), Agata Jakubowska (Adam Mickiewicz University), Teresa Kittler (UCL), Alexandra Kokoli (Middlesex University), Megan Luke (University of Southern California), Barbara Mahlknecht (Academy of Fine Arts, Vienna), Alyce Mahon (University of Cambridge), Elizabeth Robles (University of Bristol), Harriet Riches (Kingston University), Giulia Smith (UCL), Catherine Spencer (University of St. Andrews), Amy Tobin (University of York). For further details and to register (tickets £10), please visit the conference website. House, Work, Artwork: Feminism and Art History’s New Domesticities is co-sponsored by the University of Birmingham, University of York, and the Oxford Art Journal.